Dr. Charles Allard was born and raised in Edmonton, Alberta. He attended St. Joseph’s High School and graduated from the University of Alberta with a medical degree. After attending post–graduate studies abroad, he served as Chief of Staff at the Edmonton General Hospital for many years. His diverse interests led him to the world of business. 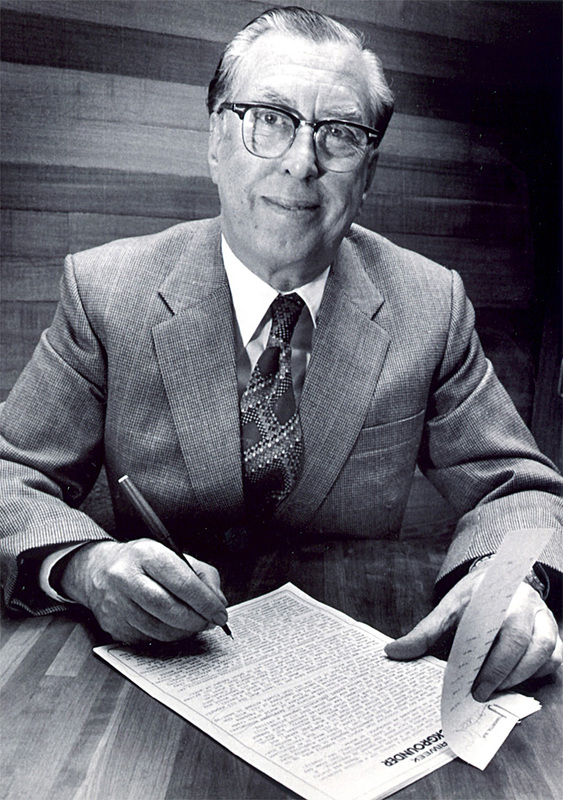 In the 60s, Dr. Allard created Allarco Developments, a public conglomerate that included Northwest Trust, Seaboard Life Insurance, Crosstown Motor City and International Jet Air, one of Alberta’s first air services to the North. He initiated one of Alberta’s first ventures into the petrochemical industry and was a co–founder of The Canadian Western Bank. He was one of the original owners who brought professional hockey to Edmonton. In 1965, he joined a partnership created to launch Edmonton radio station CHQT. In 1974, he established the first independent television station in Western Canada — CITV and created a name for himself internationally through programming such as the In–Concert Series and SCTV. In 1983, he expanded his interests to include pay television and Superchannel. In 1988, he built a world–class sound stage and video post–production facility. In March 1991, Dr. Allard finalized the sale of his broadcast conglomerate to WIC, Western International Communications Ltd, of Vancouver. Five months later, at the age of 71, Dr. Charles Allard died after a courageous battle with cancer. Dr. Allard left an indelible mark on his community and continues to do so with a legacy of caring.